Are you the owner of an old and used Ford? Are looking for ford wreckers in Auckland to take it off your hands for a good price? Welcome to Ford Dismantlers Auckland, your provider of car wrecking services in Auckland. We are serving clients across Auckland region since 1998. We have our Branches in Hamilton, Palmerston North, Wellington, Christchurch & Dunedin and have been providing safe, reliable and quick response auto dismantling services. Ford Dismantlers Auckland deal with all types of Ford cars and trucks, no matter what model they are of or how old they are. If you are the owner of a Ford that has now lived its life and is standing in your garage as junk, taking up valuable space then we can help you get rid of it, and that too at a good price! Your Ford might still be in working condition but you might be looking to change it. Or there could be any other reason for you wanting to dispose-off your Ford. 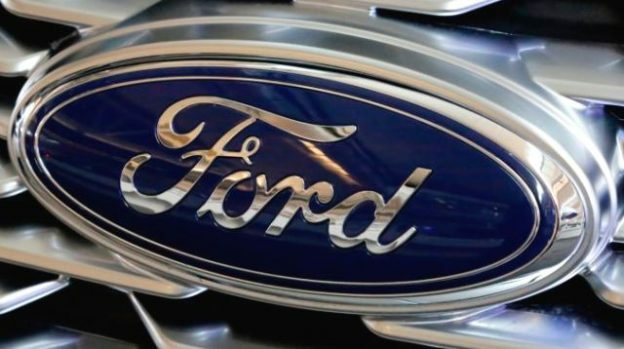 No matter what the case, Ford Dismantlers Auckland have the knowledge and expertise to understand the value of your Ford and offer you a good price for it. When looking to get your Ford wrecked, you could be worried about placing your trust in car wreckers. But when you deal with us, you need not be worried. First off, Ford Dismantlers Auckland are licensed motor car recyclers. Secondly, we have been serving clients to their satisfaction since 1998 and have gained a good repute for our top-notch scrap car services. Ford recycled parts at great prices! Local yards are the place to pick-up a body panel or car parts for your car and can save you hundreds of dollars over buying brand-new parts from Ford manufactures. Some of these used parts are salvaged from vehicles left abandoned and seized by local councils. Usually they are delivered by a towing service and sold at an auction or directly to a salvage yard. No matter whether you are looking for parts for a Ford Falcon you will find parts at a auto wrecker. For quality Ford second hand parts, contact Ford Dismantlers Auckland. Reconditioned spare parts can save you a considerable amount of money, and Ford wreckers’s huge range of parts cover nearly every major make and model of car. We have a great supplier network so if we don’t have the parts you need in stock, we can track them down for you. Engines, Radiators, Transmissions, Drive Shafts, Power Steering, Suspension, Disc Rotors, Starter Motors, Alternators, Bonnet, Bumper, Grill, Quarter Panel, Roof racks, Spoiler, Trim packages, Doors, Windows, Distributor, Lights, Switches and sensors, second hand tyre and car batteries. This entry was posted in auto salvage and tagged ford 4x4 wreckers auckland, ford courier wreckers auckland, Ford Dismantlers Auckland, ford falcon wreckers, ford recycling yard auckland, ford scrap car buyer, ford second hand parts, ford spare parts, ford truck wreckers auckland, ford van wreckers, ford wreckers auckland, ford wreckers north shore, ford wreckers south auckland, ford wreckers west auckland, ford wrecking south auckland, ford wrecking yard on April 14, 2015 by Cars Wrecker.